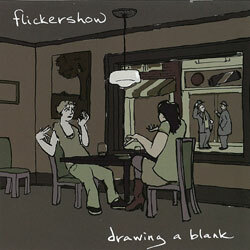 Produced by Don Kerr, Flickershow's debut LP begins with a sting, and ends with a warm, soft shimmer. A labour of love recorded sporadically over the course of two years, this eclectic disc offers a little of everything from simple country ballads, to grand orchestral gestures. Clever wordplay and close harmonies abound, along with plenty of hooky melodies. Enjoy!